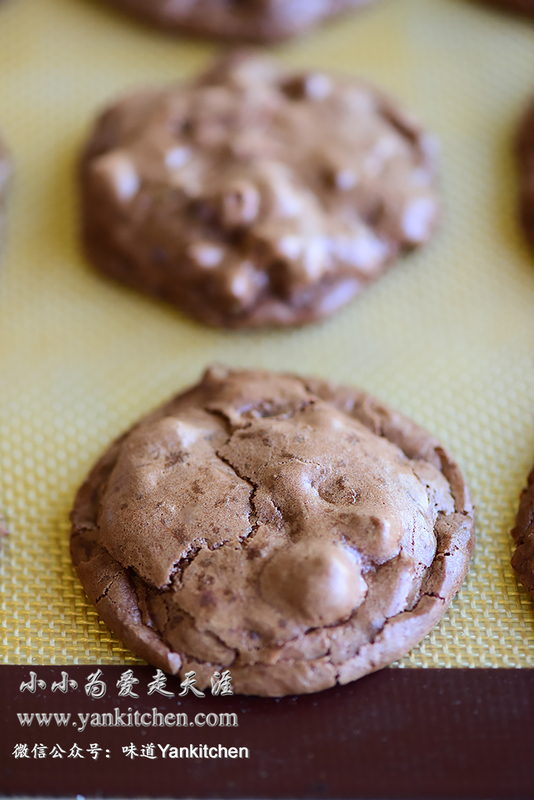 These chocolate soufflé cookies are pretty much my favorite cookies. They are so simple, made with just a few ingredients and yet have such deep rich delicate flavors. It is like eating brownies, chocolate macaroons and cookies all at the same time. Isn’t that amazing? A big plus benefit for these cookies is that they don’t require any flour, which means they are gluten free! If you frequent a coffee shop or bakery, you might have noticed there are always “flourless chocolate cookies” displayed on the shelves, which look so fancy and delicate, and of course, so expensive too. Yep, they are the chocolate soufflé cookies we are making here today. Let’s get started! The recipe is adapted from：https://www.finecooking.com/recipe/chocolate-souffle-cookies. Many thanks and appreciation to the original author! ****Tip：Chocolate is the most important ingredient in this recipe. Chocolate determines the finished cookies’ flavor and texture. The better quality the chocolate is, the better taste the cookies will be. Melt the chocolate in a double boiler. It might seem lumpy at first. In a few minutes, the chocolate will become silky and smooth. With a sharp knife, finely chop the walnut. Add a few drops of lemon juice or vinegar to the egg whites. With a hand mixer, beat the egg whites at low speed for a couple minutes. Add 1/3 of the sugar, continue to whisk at medium speed for a minute. Repeat the process until all the sugar is added and egg white is stiff. With a silicone spatula, fold the chopped walnuts into chocolate mixture. Fold in 1/3 of the egg whites. It might be a bit dry and hard at first. This is what it looks like after I fold in the first 1/3 egg whites. Add another 1/3 egg whites, and fold in very gently. Continue folding the remaining egg whites, along with vanilla extract. The batter should be smooth and shiny. Transfer the batter to a large piping bag. Pipe the cookie dough to a cookie pan lined with silicone baking mat. Each drop of cookie dough is about 3 tablespoons and 1 1/2 inches apart from each other. Bake in the oven for 8 to 10 minutes. Wait for the cookies to cool on the cookie pan. Carefully remove them with a spatula.